After a crash, you have enough to deal with. Let our team at Jurewitz Law Group help you overcome your injuries, your property damage, your inconveniences, and your lingering worries. We tackle the insurance company head-on to make sure you get what you deserve. A serious car accident has the potential to change the lives of everyone involved. If you sustain injuries from a car accident, you may not be able to work and provide for your family for a while. This can put a big strain on your finances. But at Jurewitz Law Group, we work with you to recover all your financial losses. Not only is your first consultation free, but we work for our clients on a contingency-fee basis, which means we don’t charge any out-of-pocket expenses until we’ve reached a settlement or judgment in your case. That’s our No Fee Guarantee. Head injuries: Scrapes, bruises, cuts, fractures, and dental injuries that don’t affect the brain. Brain injuries: Common traumatic brain injuries include concussions, post-concussion syndrome, contusions, open head injury, and more. Whiplash and neck injuries: Whiplash, the most common neck injury, is caused by sudden movement of the head. Whiplash poses a special threat to victims because its symptoms can take months to manifest. If not treated promptly, whiplash can cause lasting damage to muscles, connective tissues, and ligaments in the neck. Many people with neck injuries assume that they are unharmed after a car crash. This assumption can be dangerous, and it is imperative for accident victims to seek medical treatment immediately. Auto accidents can also cause lasting damage to the vertebrae in the spine and neck area. Shoulder and arm injuries: Usually linked together, these injuries include lacerations, sprains, strains, fractures, dislocations, and rotator cuff injuries. Back injuries: Can include sprains, strains, fractures, disc injuries, thoracic spine injury, lumbar radiculopathy, and lumbar spine injury. If you find yourself suffering from any of these injuries following an accident, contact our car accident attorneys at San Diego’s Jurewitz Law Group before you speak with the insurance companies. They will try to get you to make statements that they can use against you later in an attempt to deny or diminish your claim. Who Might Be At Fault for Your Losses? There may be many different parties responsible for your accident and injuries. Negligent and reckless drivers: Most often, reckless and negligent drivers are responsible for crashes. Examples of reckless and negligent driving include: speeding, changing lanes without looking, running red lights, and driving while distracted or impaired. Agencies and organizations: In addition to single drivers, various organizations may be responsible for a car accident. City and state government agencies that do not properly design or maintain roads can be held accountable for crashes. Often, broken traffic signals or confusing signage can lead to driver confusion and accidents. If you are injured in a rideshare vehicle, obtaining compensation for your injuries can be complicated. Establishing liability in a rideshare accident can be difficult, and there is no guarantee that you will be able to hold the driver or the rideshare company responsible. You will, more than likely, need an experienced San Diego rideshare accident attorney to get the compensation you deserve. Automobile manufacturers: An automobile manufacturer or automotive parts manufacturer may be at fault for your accident. Many injuries and deaths have been caused by things like defective tires or defective brakes. Q: What should I do after an auto accident? Bring your vehicle to a complete stop and do not get in the way of traffic. Move to the side of the road. Turn the car ignition off. Put warning signs up such as road flares and your emergency lights. Make sure everyone is ok and call an ambulance if there are injuries. Call the police and inform them of any injuries and ask them for assistance. When police arrive on scene make sure to cooperate with them and give them information necessary to create the police report. Do not move your car or any debris until instructed to do so by the police. Make sure you get the name of the officer, his badge number, and the city and department where he works. If you think the other driver involved in the accident is under the influence of alcohol or drugs, notify the police. Only discuss the accident with the on-scene police officer, your doctor, your attorney, and your insurance company. Take detailed notes of the scene: take down full names, addresses, phone numbers, and license plate numbers of anyone involved. Also take down contact information of any witnesses. Take photos of the accident scene and the vehicles involved. Remember to note the date and time of the accident and record all makes and models of the cars involved. Any statements made by the other drivers should be taken into record as well. Exchange license and insurance information with drivers involved. Though we hope that you or your loved ones may avoid any form of a motor vehicle accident and will never need to refer to this list, this list will help those of us who do experience auto accidents and will bring them many steps closer to securing a safe and protected future. Q: I was involved in a car accident in San Diego more than 2 years ago. Can I still make a claim or file a lawsuit? A: The answer is no, unless you fall under two very limited exceptions. The first exception is for active duty military personnel who would fall under the Servicemember's Civil Relief Act. For active duty personnel, the statute of limitations is stayed for the entire time the military personnel is active duty. The second exception is for minor children. For children, the statute of limitations does not start to run until the child turns 18 years of age. The child will then have 2 years, or their 20th birthday, to file a lawsuit for damages. Q: I was just involved in an accident and have sustained injuries as a result. I want to see a doctor, but I’m worried about medical expenses. Does the insurance company cover the bill? If they do, when does it get paid? A: Ultimately, the person at fault pays for your medical bills. They are responsible, so they will pay either personally or through their insurance company. The problem is that they won't pay until the case is settled or after trial when they will pay a single lump sum to you for all your damages. Until then, though, how do your bills get paid? First, if you have health insurance, you should send your bills to your health insurer for payment. Another option is to submit the bills to your car insurance company for payment under your medical payment benefit coverage. If you do not have health insurance or medical payment benefits to pay for your medical care, your doctor may take a lien against the proceeds of your settlement in order to pay his bill. Under this agreement, he'll wait to get paid until your case settles. Because there are a variety of payment options, and each can have a consequence with respect to your accident injury case, it is important to speak to an experienced attorney for specific advice for your case. The lawyers at the Jurewitz Law Group are available to consult with you and provide clear advice regarding your serious injury. Q: I was in a car accident and the person who hit me doesn’t have insurance but the car was owned by her friend’s mom who has insurance. Can I still pursue my claim? A: The first step you need to take is to call your own insurance company. Speaking with your insurance company will be much more efficient than trying to contact the insurance company of the party at fault, since they will not compensate you until they have fully investigated the auto accident. If you have a rental coverage policy and the other driver was completely liable, then making a claim most likely will not affect your premium. The next step is to file a claim against the mother's insurance to determine if there is not only insurance coverage but there may be liability for the mother in lending the vehicle to another driver. Under California law, the owner of a car who lends it to another driver (known as a permissive user) is responsible up to $15,000. 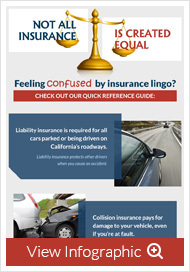 If there is coverage through the mother's insurance company or through your uninsured motorist coverage of your auto insurance policy, it is always helpful to seek guidance from a trained professional such as the San Diego car accident lawyers at the Jurewitz Law Group. You can get more information from our website that will help you in your case. Q: If I am partially at fault for causing an auto accident, do I still have a chance of receiving compensation for my injuries? A: If you are involved in an auto accident, you are still allowed to receive compensation for your injuries even if you are partially at fault for causing the accident. Many people think that if they are partially responsible for causing a traffic accident that they cannot be compensated at all. This is not true! Unlike other states, California is a "comparative negligence" state which means that when one or more parties is determined to have caused an accident, the trier of fact (either the judge or in most cases, the jury) determines whether each of the parties is at fault and to what extent. For example, say that a jury decides that one person is 75% at fault for causing a motorcycle accident but that the motorcyclist is also 25% at fault. The jury awards its' verdict based on a percentage of liability. If the value of the motorcyclist's injury is $100,000, the rider will receive $75,000 after a jury finds him 25% at fault for causing his own accident ($100,000 less 25% equals $75,000). Q: The insurance adjustor has been friendly and nice so far. Can I trust the insurance company to treat me fairly and consider my best interests? A: Though the insurance adjustor is being friendly now, this could just be pure business manners. Never assume that the insurance adjustor is going to put your best interests before those of the insurance company itself, or that the insurance adjustor is going to devote all of his or her attention solely to your individual insurance claim. Your accident claim means a great deal to you, so it’s imperative that you receive the compensation you are entitled to for all your damages, including your medical bills and lost earnings. And what does your individual insurance claim mean to the insurance adjustor devoted specifically to your case? Unfortunately, it may not mean as much as you think it does. Your adjustor may have dozens of open cases at any given time, and certainly does not have as much of a personal stake in your case as you do. Moreover, you need to always remember that the insurance adjustor ultimately has the needs of the insurance company prioritized before your personal interests, and never the other way around. While the adjustor may appear to be fully on your side at the beginning of your claims process, they can easily switch to using the intimidation strategy. The job of the insurance adjustor is to save their company as much money as possible. It is in their favor to give you the lowest pay out possible and your needs are the least of their concerns. As a matter of fact, if they can get away with not having to pay you anything, they will put all efforts to make that happen. Once an adjustor contacts you, they may try to place responsibility for the accident on you, argue that there are medical treatments on your bill that should not be reimbursed, and basically do all that they can to get you to give up and feel at fault for filing a claim for your injuries. The best thing you can do is stand firm and hire a skilled San Diego personal injury lawyer to help guide you through the insurance claim process. When presenting you with a settlement amount, adjustors will often offer a lower amount than you are rightfully entitled to in hopes that you will blindly accept and simply be satisfied with it. However, it’s important to realize that you have the freedom to either accept or decline any offer that is given to you. You do not need to settle for less than you deserve or lower your expectations in order to appease the insurance company. It may not be right, but it often takes the threat of action against the insurance company in the form of a lawsuit in order to be presented with a more reasonable offer. Be sure that you do not become one of the victims that fall into the insurance adjustor’s traps for you to settle for scraps. Q: The insurance company wants to conduct and record an interview with me in regards to my injury case. What should I do? A: It would be ideal if you could avoid making a recorded statement at all, but chances are you’ll eventually be forced to participate by either your own insurance company or under the Rules of Civil Procedure. Since this is the case, it’s best to be prepared and well-informed. During the interview, the insurance adjustor tries to extract information from the claimant that can be used to weaken his or her case. Be mindful of the questions you are asked and be especially wary of the answers you give. Remember that every single word is recorded. If pushed for details, do not give ones you may not be able to recall later. Your forgetfulness will be used to discredit you. Additionally, make your answers as brief as possible. Do not make your answer so certain and exact unless you are a hundred percent confident in it. If there is question you cannot answer, simply do not answer it. Avoid specificities concerning time, place, distance, speed, etc. And most importantly, talk with your San Diego injury attorney before giving a recorded statement. Q: What are my options for car insurance in the armed forces? A: We all know how important it is for you to buy the proper insurance coverage for you and your family. Though, most people don't know how much insurance to get or what plan is right for them until it is too late. With all the insurance companies out there advertising that they have the lowest rates and best plans can make the decision overwhelming as well. For those of you in the military, it is especially important that you and your family are covered. Assess your insurance needs. Determine how many vehicles will need coverage and bundle that policy with homeowner's or renter's insurance, if you can. It will save you money in the long run. Figure out how you want to interact with your insurance provider. Depending on your needs, decide if a local company, a national company with local branches, an independent insurance agent, or a direct from insurance company would be the best fit for you. One you decide on that, compare three competitive quotes. Finally, check the financial strength of carriers at reporting agencies and check the company's license status with your state's Department of Insurance. United Services Automobile Association (USAA), an insurance company that used to be exclusively for military officers of the various Armed Services, is now open to applications from non-commissioned officers and enlisted personnel from all of the Armed Services. You are eligible for coverage if you or your family member is a military personnel. USAA is one of the highest ranked companies by Consumer Reports. Their rates are competitive and often times the lowest available. USAA also covers home and life insurance. If you or someone you love has been injured in a car accident by someone who has a small insurance policy or no insurance at all, then you may have to cover the steep medical bills associated with your injuries. Yes, it is illegal to go without auto insurance, but a lot of people do it. If they aren't going to cover the expenses, make sure that your insurance company does. At minimum, we recommend that you have at least a $500,000 uninsured motorist policy (UIM). That means that if someone with a $15,000 policy hits you and you have a $500,000 policy, the State of California will give you the difference of $485,000 or even the entire amount of $515,000. Though, insurance companies will go to extreme lengths to protect themselves from being squeezed out of money. The process to get these funds can be long and tedious, especially when you are dealing with your own injuries. The San Diego car accident attorneys at the Jurewitz Law Group will work to get you the money you need to cover your medical costs and lost wages. Q: What are the worst insurance companies? These insurance companies insure and compensate for auto accidents, slip and fall accidents, life insurance claims, and health insurance claims. Allstate was named the worst insurance company in America--again--in a dubious honor that seems to repeat each and every single year. According to the report, Allstate heads the list because of "a combination of lowball offers and hardball litigation." It is even reported that insurance adjustors are instructed by their supervisors to deceive claimants by lying. If you are insured by one of these companies you should consider switching to a more reputable insurance carrier. If you have been injured due to someone else's negligence and find one of these companies as the insurance company for the negligent person or company, hiring a skilled attorney may be your best strategy. Q: What if my own insurance company won't pay for injuries? A: Even though you have paid for the insurance coverage and purchased PIP benefits, your own insurance company can still deny payment of your medical bills. This is because the insurance company hired their own doctor, known as a "peer review" doctor. Their doctor reviews your medical records given by your doctor to make sure it conforms to California standards and is "reasonable and necessary." Typically, this does not go in your favor and the insurance company may deny payment to your doctor for the treatment received. In this case, a San Diego personal injury lawyer will sue the insurance company for violating the policy you purchased, violating the law, and showing bad faith. Unfortunately, this may be the only way to make your insurance company pay for your medical bills. The insurance company has access to a huge amount of resources, which they use to make you settle for the least amount possible in your injury case. Q: If I write the insurance company a letter and I am reasonable, will I ge a fair settlement? A: No. Insurance companies have their own self-interests, and that is to save them money and close your file as quickly as possible. Insurance companies are very skilled at negotiating on behalf of their company. In addition, they use extreme tactics to make you settle for a lower settlement than you ask for, which typically does not cover your expenses. A nice letter will not do anything for you. At the end of the day, insurance companies are working to protect themselves. If you or a loved one has been hurt in a car crash that was caused by the negligence of another party, you have no reason to feel intimidated by the idea of legal action. In many cases, it is the only way to find justice and gain the financial support you need for recovery. Let San Diego injury attorney Ross Jurewitz and his aggressive legal team fight on your behalf. Don’t get screwed by insurance companies. Instead, call (888) 233-5020, today, for a free case evaluation. “No Fault” Doesn’t Mean "No Pay"
San Diego Car Crash Lawyer Disclaimer: The legal information presented at this site should not be construed to be formal legal advice, nor the formation of a lawyer or attorney client relationship. Any results set forth herein are based upon the facts of that particular case and do not represent a promise or guarantee. Please contact a lawyer for a consultation on your legal matter. This web site is not intended to solicit clients for matters outside of the state of California.